Unusual to us (maybe), but a fan favorite all over the world. Rice doesn’t come off as a traditional Christmas food, not here in the USA anyways. Worldwide, however, there are a few places where it’s almost mandatory to have some at the Christmas table. As diverse as California is, there’s definitely a few homes where these foods are made. 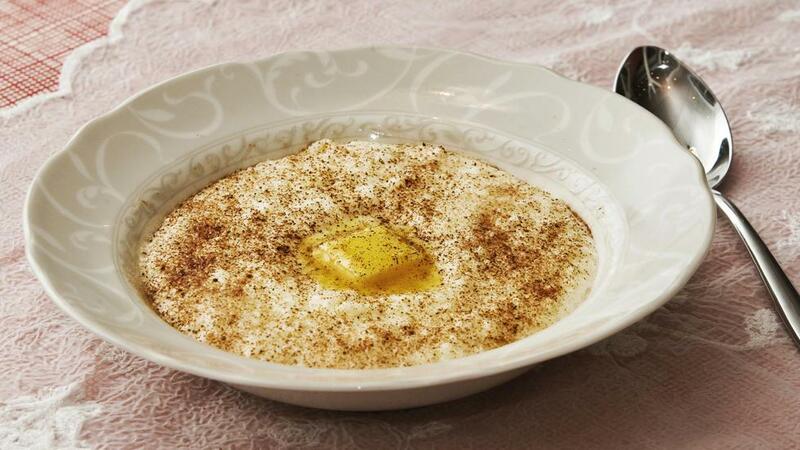 In the Norwegian countries of Europe, a popular dish comes out called Risengrynsgrøt, or rice porridge; A simple porridge of rice, cinnamon, sugar and butter. An additional ingredient, however, makes it stand out, a single scalded almond. The tradition goes is that whoever finds the almond in their bowl was the first to get married. In modern times, however, the one who finds the bean usually wins a prize, which is usually large pig made of Marzipan. However, going back into the history of the dish, the dish didn’t start off as rice or even porridge. Rather, it was a loaf of bread with a single bean baked inside. Whoever found the bean would be named “The bean king”. In the 1300’s, rice was imported into scandinavia, but it would’ve been a luxury only afforded by the wealthy, so everyone else made do with a porridge made from oats, barley and rye. It wasn’t until the 1800’s that rice became affordable to everyone. Of course, we’d be remiss to leave out the congees and other rice dishes of Asia. One that particularly stands out to me, however, is Arroz Caldo, a popular rice porridge served in the Phillippines during Christmas time, and pretty much every time of the year. 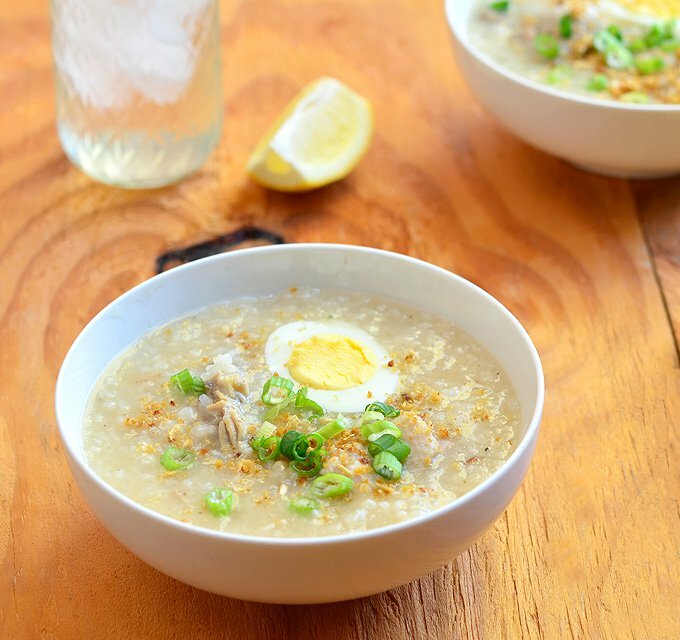 While we’re on the Philippines, there too exists a sweet version of Arroz Caldo. 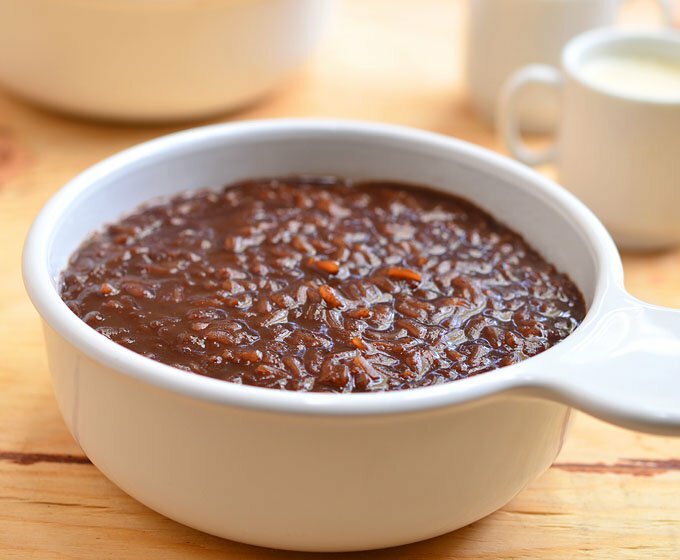 Made with cocoa powder, milk and sugar, Champurrado is another sweet treat enjoyed by many Filipinos in the Philippines, the USA and the world over. While the traditional way of making it is the most well know, another favorite of mine uses my favorite cookie, Oreos. So, what did you guys think? Did we miss anything on our list? Let us know in the comments below.